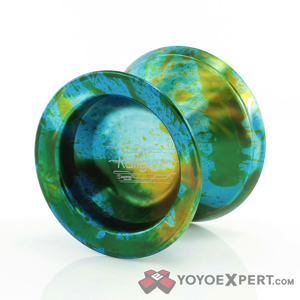 YoYoExpert Blog & Yo-Yo News – New from C3 – 7075 Krown ST & Splash Edition Railguns! New from C3 – 7075 Krown ST & Splash Edition Railguns! When C3yoyodesign approached World Champion Shinya Kido and asked him what he wanted in a signature yo-yo he replied “Good spin time yet light feeling and horizontal ready.” And with that one of C3s most popular models was born, but now with the popularity of bimetal construction they are able to improve on that design! This is the Krown ST! This yo-yo was extensively prototyped, sometimes with changes being made as small as a .1mm adjustment, until it was perfect in every way. The shape has been changed to accommodate the Steel rims and take full advantage of the bimetal construction. 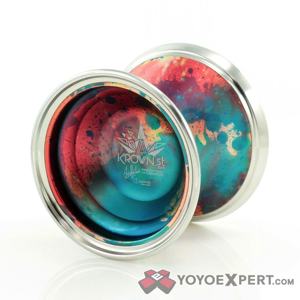 A little wider with a narrower diameter, the Krown ST is what Shinya has been looking for in a signature yo-yo! The Krown ST moves as fast as your hands can push it and the new wider stance and improved rim weight make it unstoppable in horizontal play. The addition of the steel rims to the aluminum body give this new model an incredible spin time and stability while keeping a lower overall weight that won’t bog you down through complex tech. 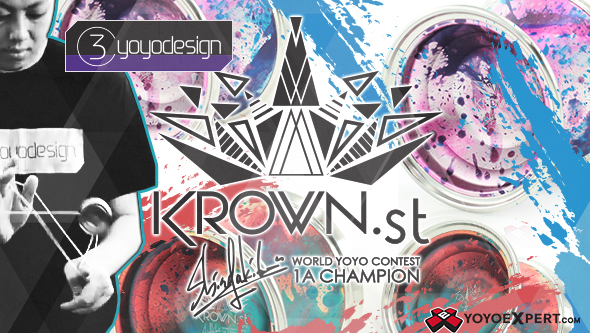 The Krown ST is a serious competition level yo-yo that is truly worthy of a World Champion! 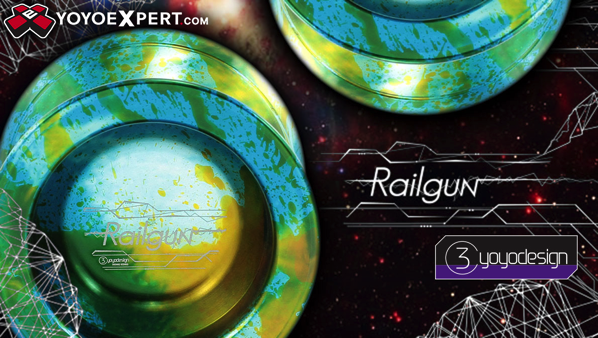 C3yoyodesign modeled the Railgun after their flagship Krown series. The idea was to push the design even further to replicate the bi-metal performance of the Krown St in a cool new mono-metal design. The Railgun has a look and feel in play that is hard to beat!